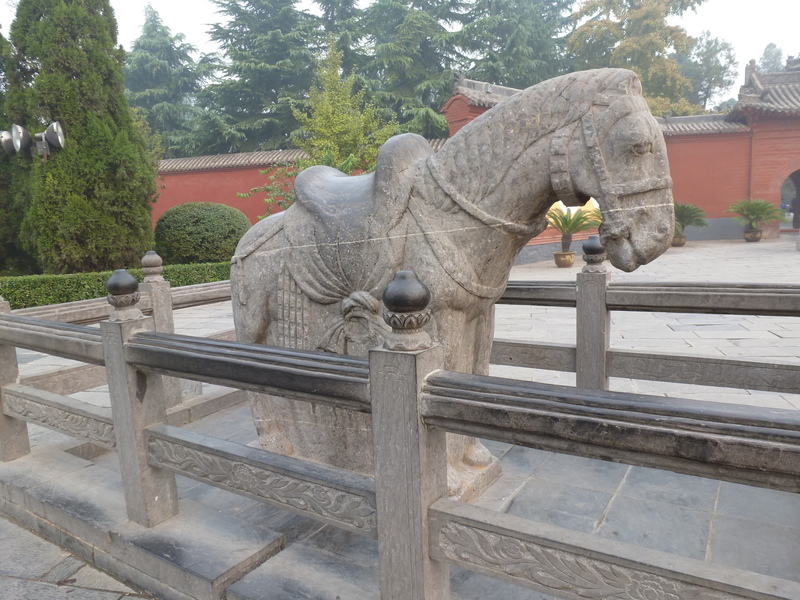 In Luyoang we went to the White Horse Temple, the place from which Buddhism spread in China. There are several legends relating to this beginning. I’m not sure why since by 266 A.D. when the first Buddhists came to China, they had a habit of writing down history. The legend that both Wikipedia and my Lonely Planet offer is that some Emperor Ming had a dream about Buddhism and sent some men to find out about it. In Afghanistan, the emperor’s emissaries met two Indian Buddhist monks, whom they persuaded to come to China to help establish Buddhism there. At this point, historians think that’s a legend. Still the temple is big and well established and draws a lot of visitors. 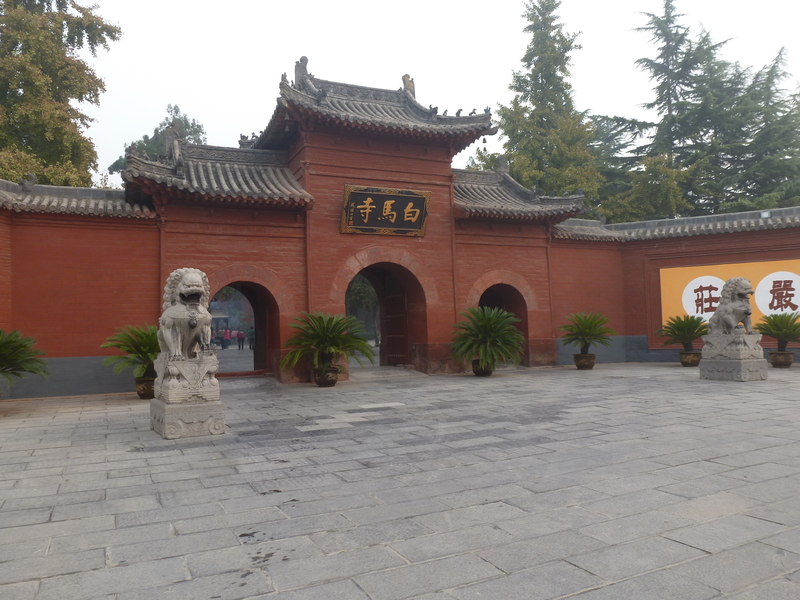 Like most temples, there are several buildings landscaped with tall trees giving the compound a tranquil feeling. We went early so it wasn’t too crowded. This temple seems quite active internationally. Along one side they’re constructing a group of Thai style wats donated by Thais and an Indian temple area donated and designed by Indians. According to CCTV English, they’ll also start adding a Burmese temple area.